We are sure that most of you would be aware of Android which is one of Google’s mobile operating system. It has marked its vital place in the mobile application technology as it is open source and has got a greater visibility for the developers. 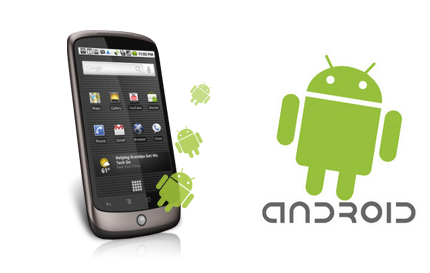 As known, android was initially developed for smartphones to make it user friendly and more compatible. At the earlier stage, Google had launched SDK platform which has seem to be an efficient and quick growing platform which is one of the reason for the popularity of the Android based smartphones. Due to the efficiency of the google android application development, you can see loads of android application development companies in the market. Most of the companies are filled with highly skilled Android apps developers well versed in Android SDK platform and hence the competition between them in offering quality android application development services is fierce. Most of the companies are offering the service of hiring an android app developer on monthly, weekly, daily, hourly contract basis for a reasonable price. Hence people who are on the look out for hiring the google android programmers will need to carefully review the past work and the efficiency of the company before halting their search. Cogzidel Technologies filled with unique combination of skills in android application development does seem to be an ideal pick by different companies / personals to develop their android mobile application on different platforms. If you are looking to hire android app developers / programmers familiar with the new Android SDK Revision 16, you can always get in touch with us by sending a email to our support team to know about the revenue which can be earned at a quicker time by availing our service. Previous Entry Is your Website Mobile-friendly? Next Entry Why hire a Boonex Dolphin Developer? I believe that it is important to have a dedicated team of talented Android app developers, in order to ensure the completion of the project within the specified timeline. Hi Lee, I have sent an email to you asking further requirements. Please reply to my email and I will be happy to take you forward. great article thank u for sharing this nice information………………. Thank you for your positive feedback!! ///Due to the efficiency of the google android application development, you can see loads of android application development companies in the market. Most of the companies are filled with highly skilled Android apps developers well versed in Android SDK platform and hence the competition between them in offering quality android application development services is fierce.///.. Your blog really helpful for us… Keep Post.. Thank you for your positive comments. We will surely be posting new ones! !